Ivan’s car dynoed a whopping 334.94 whp/ 265.33 wtq with B-Spec tune + AFD Proflex Commander with just E57 fuel. 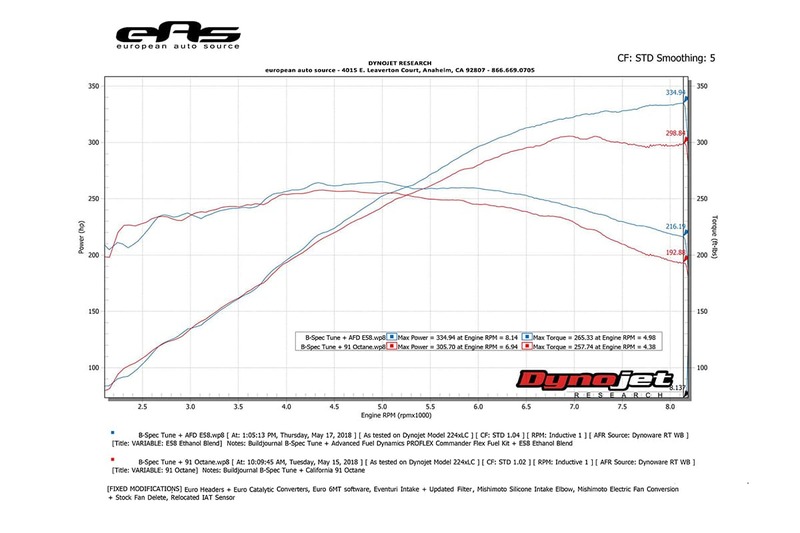 An impressive peak to peak gain of +29.24 whp / 7.59 wtq compared to B-Spec on California 91 Octane. 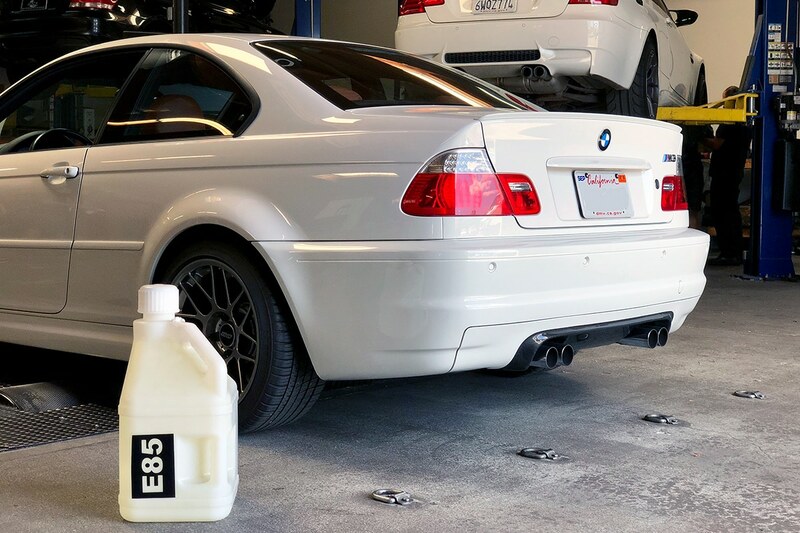 Here we can see that E46 M3 really takes advantage of the higher octane fuel with a tune and it is evident that the E85 helps stop the S54 DME from pulling timing. Also, notice the healthy curve gains throughout the entire power band and how the jagged lines starting at 6.7K RPM are smoothed out up top. You can read Ivan’s full review on M3Forums. *Remember our 10% coupon code for AFD Proflex Commander for E46 M3 is only valid until 5/31st! Use code buildjournal at checkout.